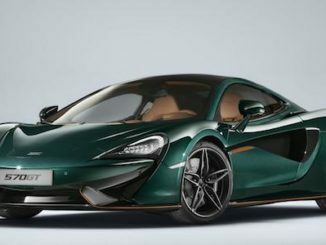 McLaren Automotive has announced its backing for the 2018 Telegraph UK STEM Awards that highlight science, technology, engineering and maths-based careers. McLaren Automotive is supporting the automotive technology category to emphasize the importance of STEM careers. 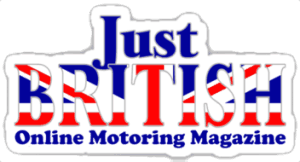 The Awards – now in their fifth year – are aimed at talented undergraduate level students and showcase the company’s constant drive to hire the best talent needed to develop the next generation of world-beating sports cars and supercars. 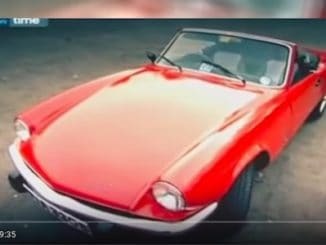 For talented and ambitious students, the Awards provide a rare opportunity to present their bright ideas to some of the key decision-makers at one of the world’s most exciting car companies. 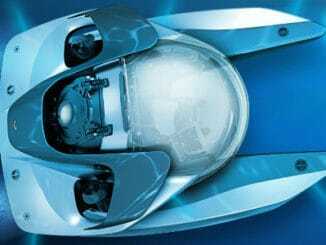 Aston Martin is proud to announce a creative collaboration with Triton Submarines LLC, the acclaimed manufacturer of state-of-the-art submersibles. Codenamed Project Neptune, the venture enables Aston Martin to further enhance and grow the brand into new aspects of the luxury world, with all the performance, beauty and elegance one has come to expect from the British marque. Triton has unparalleled expertise in the design, manufacture, and operation of submersibles for researchers, explorers and superyacht owners. Founded in Florida by L. Bruce Jones and Patrick Lahey, the team at Triton are committed to producing the safest and best performing, deep-diving submersibles in the world. 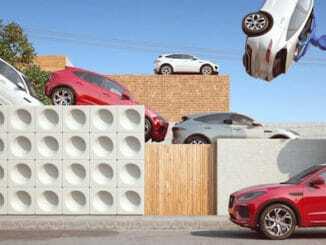 The launch of MG’s new Compact-SUV marks an exciting new era of design for the iconic company. 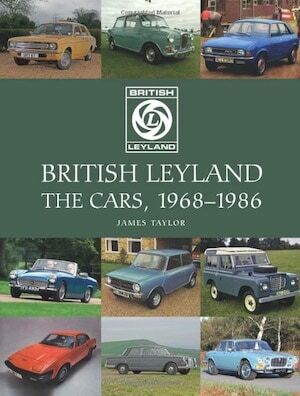 The brand-new Compact-SUV is set to go on sale later this Autumn, representing a major step-change for MG. 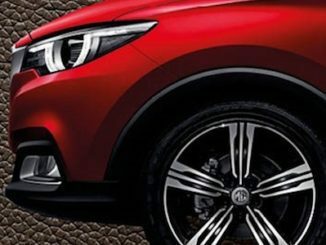 The new MG design philosophy is based on ‘Emotional Dynamism’, which represents a more expressive design language that emphasizes the premium nature of MG’s latest model. The contemporary look harmoniously brings together the three key elements of ‘Emotional’, ‘Humanised’ and ‘Agility’ that accentuate the car’s desirability, accessibility, and dynamic stance. There have long been images of witches riding brooms, but could there be a time in the near future when the modern witch makes the switch from broom to vacuum cleaner? 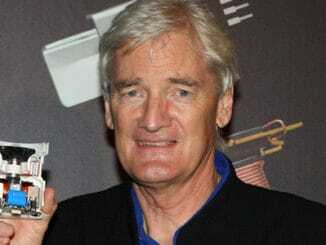 Dyson may be banking on it. Dyson, the British engineering company best known for its vacuum cleaners and fans, plans to spend £2.5bn developing a “radical” electric car. 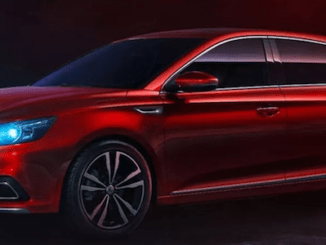 The battery-powered vehicle is due to be launched in 2020. 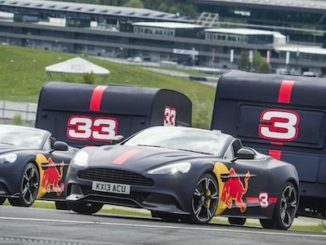 Aston Martin and Red Bull Racing have further strengthened their Innovation Partnership with the announcement that the Formula One team will compete as ‘Aston Martin Red Bull Racing’ from 2018. The successful partnership, that has already produced the sold-out Aston Martin Valkyrie hypercar, will yield future products and an exciting new Advanced Performance Centre that will open on the Red Bull Racing campus in Milton Keynes later this year. The British luxury carmaker will also evaluate the opportunity to be involved in the team’s power unit from 2021 after being asked by the FIA to join discussions on future engines for F1TM. 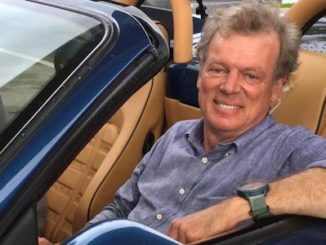 Keith Martin, head judge for the Atlanta Concours, host of Velocity Channel’s ‘What’s My Car Worth’ and publisher of Sports Car Market magazine, will be adding another role to his list of outstanding accomplishments, as moderator of the upcoming ‘Market Trends’ panel discussion on Saturday, September 30th, from 9:30 am – 10:30 am in the Celebrity/Tech Session building at Chateau Elan, to kick-off the Atlanta Concours d’Elegance weekend of festivities. 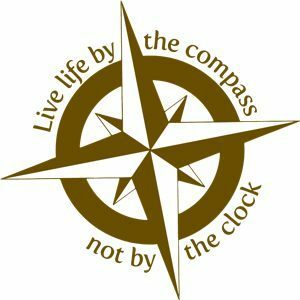 However, it will be the insight gleaned from each of Martin’s panelists: Corky Coker, Melanie ‘Lilly’ Pray, John Merritt and Jim Grundy, where the real learnings will be provided – as the commonality for each – beyond their own acknowledged industry stature – was gained through each of their own entrepreneurial roles within the industry and the key learnings they have fostered to find success through the past decades. 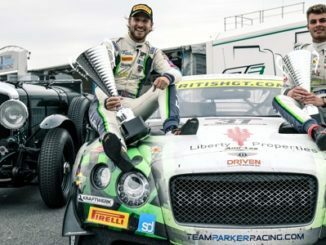 The #31 Bentley Continental GT3 of Seb Morris (GB) and Rick Parfitt Jr (GB) has won the 2017 British GT Championship thanks to a fourth-place finish for the Team Parker Racing crew at Donington Park. The team started the weekend – dubbed the Donington Decider – with a 10.5 advantage in the standings. After a close qualifying session, the pair started side-by-side with their championship rivals in third and fourth. 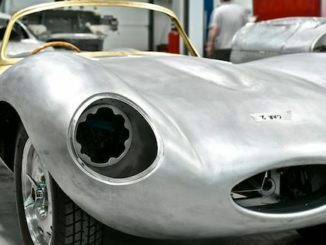 Envisage Group Ltd, the world’s fastest-growing engineering services company, has played a key role in the creation of nine new XKSS continuation models, replacing those lost in the Jaguar Browns Lane factory fire of 1957. 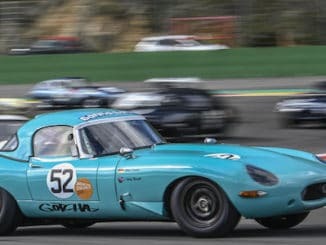 Traditional and rare expertise in hand craftsmanship Envisage Group was commissioned by Jaguar Classic to be the sole supplier of hand-crafted monocoque body shells and body panels for the XKSS continuation model to the exact specification of the iconic original. The Land Rover Discovery HSE Td6 has taken on a 121-ton road train and the Australian Outback…and won. During the ultimate towing test, the Land Rover Discovery towed a seven-trailer semi-truck from a stopped position for a total of nearly 10-miles. 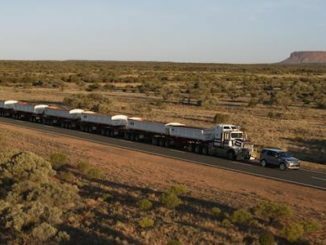 Land Rover completed the impressive display of towing capability by pulling a 328-ft road train in the remote Northern Territory of Australia to announce the arrival of the 2018 model year Discovery Discovery HSE Td6. An extreme McLaren GT racing car is today confirmed as an exclusive choice for gamers in the hugely anticipated PlayStation 4 title, Gran Turismo Sport, which will be available starting October 17, 2017. 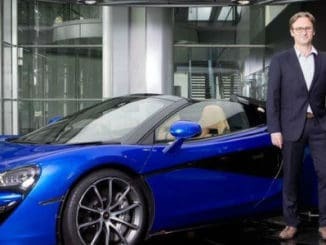 The McLaren Ultimate Vision Gran Turismo was designed in response to a call from game creator, Kazunori Yamauchi, for vehicle manufacturers to design ‘visionary GT cars’ to compete in Gran Turismo Sport. 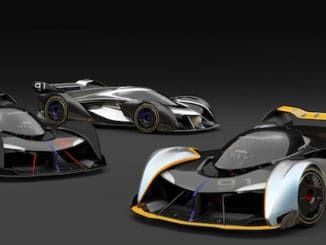 While not a prototype for any future McLaren model, the Ultimate Vision Gran Turismo showcases the kind of car that McLaren could produce beyond 2030. Players will be able to choose from three liveries: Performance, Ulterior and Noir. Jaguar Land Rover (JLR) North America this week celebrated the U.S. Armed Forces Team at a send-off event in Long Island, N.Y. ahead of their departure to Toronto for the 2017 Invictus Games, the international sporting event for wounded, ill and injured service members. 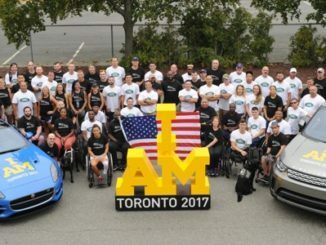 JLR is the Presenting Partner of the Invictus Games Toronto 2017 and sponsor of the U.S Armed Forces Team, continuing their support of the inaugural Games in London in 2014 and the Orlando Games in 2016. Rolls-Royce Motor Cars has partnered with Fondation Beyeler (the Beyeler Foundation) to present an artistic concept by internationally renowned Swiss artist, Pipilotti Rist, for the institution’s famed Summer Night’s Gala 2017, held on 16 September. Normally the reserve of Fondation Beyeler’s esteemed guests, Rolls-Royce’s patronage ensured that the installation was seen and experienced by the public on Sunday 17 September. Visitors to Fondation Beyeler were treated to a sensorial feast within Rist’s highly complex work. 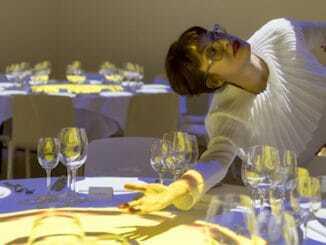 Curated by Fondation Beyeler’s Director Sam Keller, the installation was created for the museum’s Summer Night’s Gala. 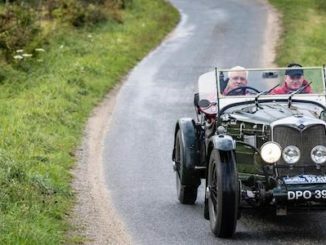 The artistic concept which was supported by the Rolls-Royce Art Programme, is part of an initiative that sees the marque serve as a benefactor in creating new works in partnership with prominent art institutions. 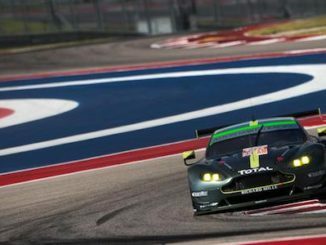 Aston Martin Racing has triumphed in Texas, as Paul Dalla Lana (C), Pedro Lamy (P) and Mathias Lauda (A) took GTE Am victory in the Six Hours of Circuit of The Americas. 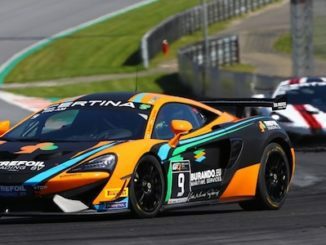 After taking pole position yesterday, their second win of the 2017 season ensured the trio both maximised their points haul for the weekend and regained the lead in both the team and drivers GT Am championships.